Discover what makes Mesoestetic skin care treatments the choice of discerning patients and professionals worldwide. Backed by more than 80 years’ experience, Mesoestetic PharmaGroup specialises in innovative, technologically-advanced solutions for a range of common skin problems. From custom AHA peels to injectable ampules to the world’s most effective depigmenting treatments, Mesoestetic sets the highest possible standard in safe yet powerful skin care treatments. Here at HSA Dermal Clinic, we exclusively provide 100% non-surgical skin care treatments of the highest quality. We’re proud to work closely with leading skincare authorities like Mesoestetic, providing our customers with access to a complete range of products and professional services. Now sold in more than 80 countries worldwide, Mesoestetic has become a recognised leader in the field of dynamic modern skincare for the discerning client. From our state-of-the-art clinic at the heart of Richmond Upon Thames, we provide a complete range of non-surgical skin care treatments for all purposes. Whether looking to combat the signs of aging, address pigmentation issues or simply rejuvenate your skin, you can count on HSA Dermal Clinic. For more information or to arrange an obligation-free consultation with one of our experts, contact our clinic today – we’re standing by to take your call. For more than 80 years, Mesoestetic PharmaGroup has been leading the field in dynamic skin care products for discerning buyers. Today, the company operates across dozens of key markets worldwide, improving thousands of lives every year through its uniquely-effective, non-surgical treatments. One of the primary benefits of Mesoestetic skin care products is that no surgery is required to achieve incredible results. Mesoestetic specialises in the kinds of topicals and injectables that replicate or even improve upon the effects of more invasive treatments. All at a fraction of the price. For pigmentation problems in particular, Mesoestetic is known as the undisputed industry front-runner worldwide. In fact, Cosmelan and Dermamelan are the world’s best-selling depigmenting treatments by a wide margin. Safe, effective and affordable, products and treatments from Mesoestetic have become the choice of discerning professionals and customers alike on a global basis. What’s more, Mesoestetic is continuously developing new and improved skincare products to meet the needs of a growing audience worldwide. From AHA peels to powerful topicals for pigmentation issues, all requirements and budgets are covered by this one extraordinary brand. With such a huge list of benefits, HSA Dermal Clinic is proud to both recommend and offer the full range of treatments from Mesoestetic. 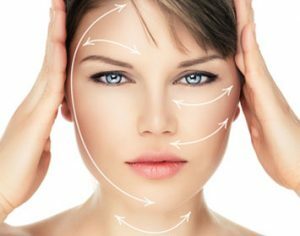 For more information or to arrange a consultation with one of our experts, contact the team at HSA Dermal Clinic today.